LOVENIN, a Nintendo fan from Thailand, messed up and bought a black & grey Switch instead of a Neon one. 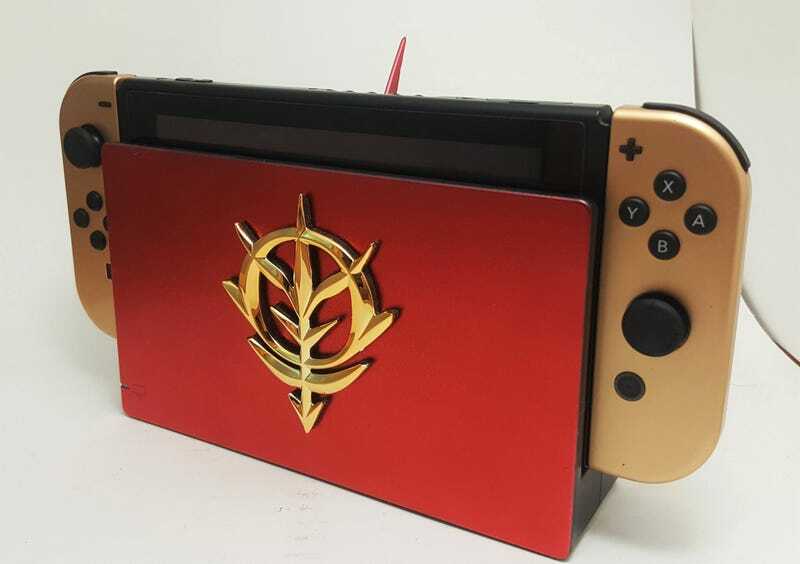 To add some colour to his drab new console, then, he decided to take it apart and add some Gundam flavour to the thing. Looks great! A big reason why it looks so good is that he didn’t paint over the top of a complete Joy-Con; as you can see, the controllers had to be disassembled to be repainted and ensure a pro finish. You can see more progress (and finished shots) here.